The warmer months mean the one thing you have been working for – literally – is about to happen. We're talking about vacation. But who can afford to go anywhere these days? The answer: the savvy shopper who knows how to find the best deals. Bring along your motivation to do a little work ahead of your trip, and CreditDonkey.com will show you where to find airline freebies. Take advantage of sign-up bonuses. Peruse your options for airline credit cards, and see which ones are offering great deals in the first few months of owning the card. Some will reward you with lots of extra up-front miles while others may provide a rebate to make their annual fee not seem so bad. Look beyond just pure airline cards to those that provide extra points every time you dine - points that could be used toward your air travel or hotel stay. There are all sorts of deals out there. Avoid peak seasons when redeeming miles. 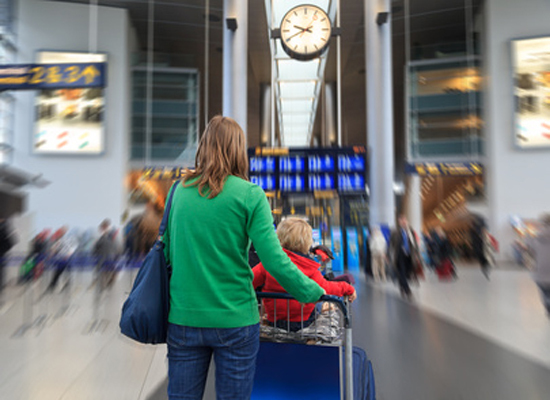 Award tickets may have time constraints, so it’s best to try for the off-peak periods, either when families aren't traveling or business travelers are less likely to fly. You may find more availability in the fall for destinations in Europe, Mexico, and the Caribbean, for example. Traveling in winter is a superb time to redeem miles to Europe as it's off-season. And those who want to venture Down Under should look at flights 331 days out for really far-off destinations like Australia, which will have limited availability. Check out the airline's website to see how far ahead you can book. Look in odd places. Why not profit from parking your car? GottaPark.com sells parking reservations to drivers throughout the U.S. and Canada in major cities near professional sports venues and major airports. Early this year, GottaPark partnered with American Airlines to offer customers the opportunity to earn airline miles when parking. Now drivers going to work, to a hotel, to a ball game, or to the airport can earn credit towards a free flight while doing so. GottaPark has also partnered with Travelport, a distribution services and e-commerce provider in the travel industry. People who book through a travel agency can have their agent add a parking reservation to their itinerary, allowing them to earn miles with their parked car, in addition to their flight. This is no doubt a no-brainer for travelistas who can see their parking profits add up rapidly. Be kind. Your mother always told you to be nice. Volunteer to be bumped from a flight. Usually, the airlines will offer the do-gooder a voucher for a free, discounted ticket, or cash voucher for future use. If you have flexibility in your travel schedule, why not be the good guy or gal and benefit too? Be a squeaky wheel. You know what they say about the squeaky wheel – it gets the oil. Well, speak up and you might get a discount or even get a free trip. Have a good, valid reason, of course. If something went clearly wrong during your airline travels - maybe they lost your baggage, or some other error - a letter, albeit nice, not nasty, to the airline expressing your disappointment could loosen the purse strings as they seek to make you happy, all for the sake of protecting their valuable reputation. Play detective. Truth is, you have to be a bit obsessive about getting freebies. Airlines have been known to make mistakes and post wrong fares that can be incredibly cheap or even free. A good place for sleuthing is travel forums, where you might catch the chatter about them in real time. When airlines get caught with their pants down, they often have to just eat the loss and this, of course, is your gain. Love the airlines. You want to spend tons of time on their websites, get their newsletters, and stay alert for their every move. You might find extra miles for all sorts of things like opening a bank account, staying at certain hotels, and more. If you have a favorite airline, keep tabs on its partners and see if they’re offering dual deals. Campaign for a free trip. This one depends on what type of family and friends you have. If they’re pretty open-minded with big pockets, test your luck with soliciting funds toward your next trip. Did you and your hubby skip taking a honeymoon and now need some alone time, a decade later? Have you gone through a hardship that others would feel you deserve some time off? In some cases, it’s not frowned upon to ask for help – or to let potential gift-givers know what you really want: airline tickets. For sure, playing the fly-free game takes time. It's a worthwhile investment and fun too. Who can quibble with the reward of traveling for free? Share on Facebook "How to Get Free Airline Tickets"